This is a perfect dish to whip up in just a few minutes! It is simple yet so good and makes a lovely starter if you have friends over for dinner. You can prepare the sauce whilst the pasta is cooking. Place the crushed garlic, lemon juice, chopped avocado and yoghurt in a food processor. Process until smooth. Season with salt and freshly ground pepper. 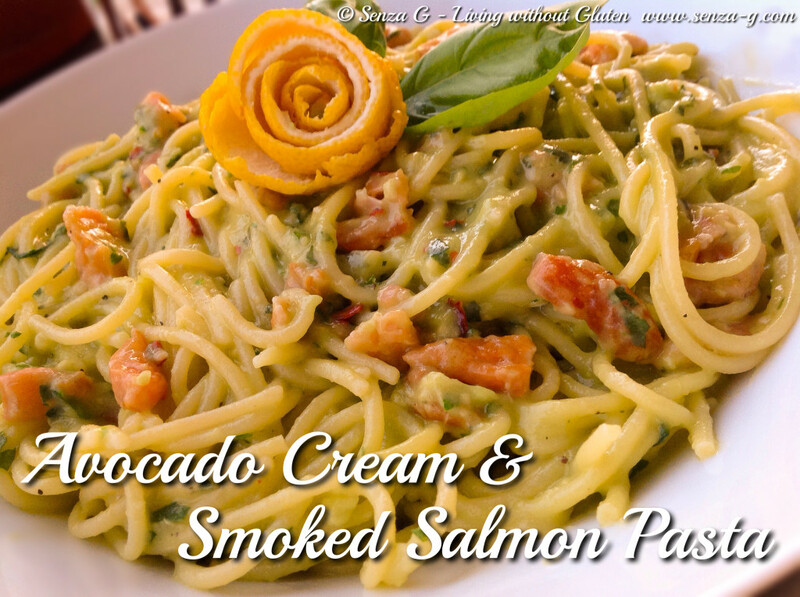 Pour the sauce in a bowl, add the chopped salmon and the chopped basil, and combine well. When the pasta is al dente, drain, but reserve a few tablespoons of water. Mix the sauce and pasta gently in a large bowl, combining well, adding a little of the reserved water if sauce is too thick. Serve garnished with strips of lemon or even better, use the peel of the lemon to form a rose. Add a few leaves of basil.